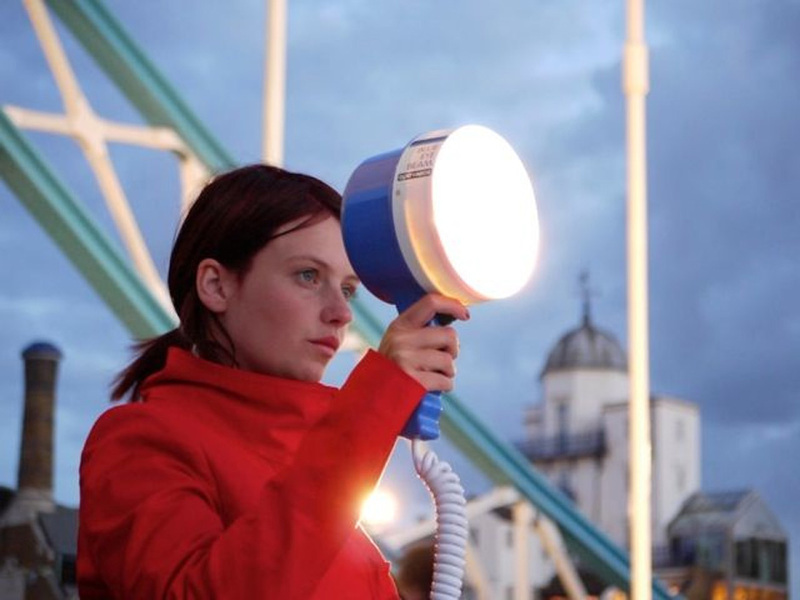 Search Party’s durational semaphore performance Save Me was originally conceived as a night-time project commissioned by Rules & Regs as part of Nuit Blanche in Brighton (UK) and Amiens (France). Situated at either end of a busy street, after dark, Search Party attempt to communicate using high-powered nautical searchlights and morse code. The Night-time version was performed in Brighton (UK), Amiens (France), Nottingham (UK), Stoke Newington (UK) and London Thames Festival (UK). Commissioned by Rules & Regs (Brighton).